We went there during lunch time and saw the metal shutter door was partially opened, the old couple was seem peeling the shell from a big pot of cooked prawns behind the door, we realized the business only starts from 5pm onwards till midnight, we were too early and looks like it takes quite a fair bit of preparation time to whip out the dish with work already started at 12 noon. 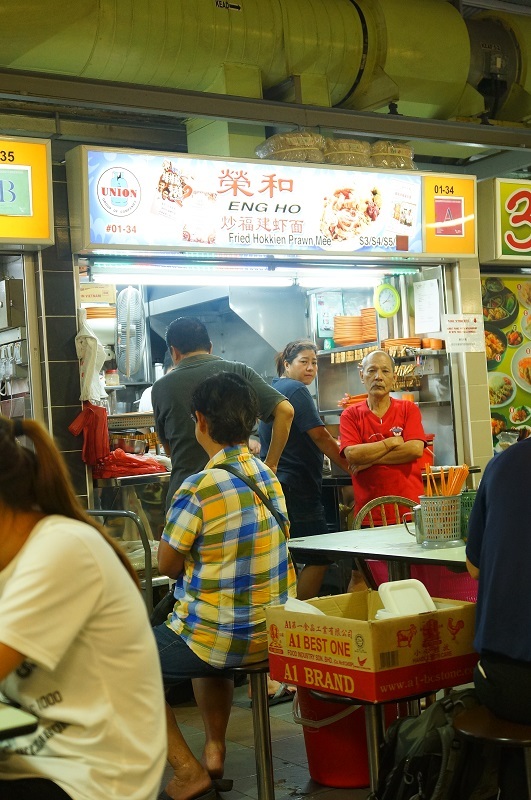 For us, it was a returned trip a week later to have a taste of this much rave about fried Hokkien mee stall. We ordered the $4 serving. 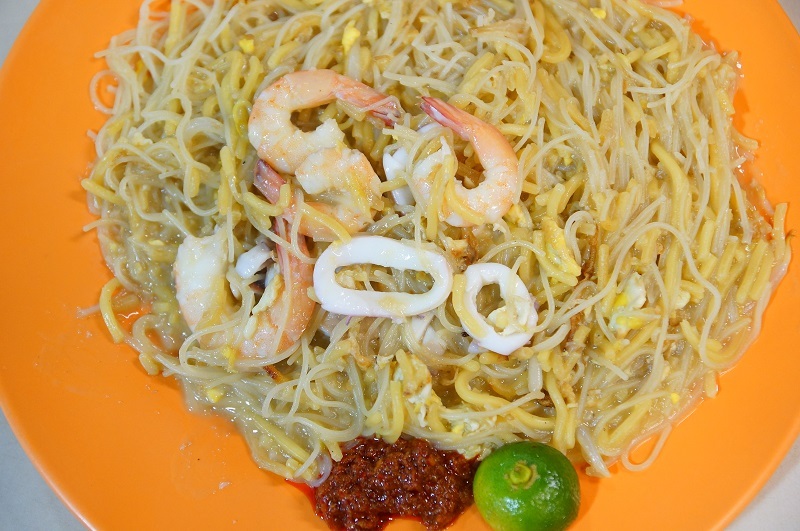 The mee was more on gooey side with yellow mee to the thick white bee hoon in the ratio of 40% to 60%, the texture was fine with acceptable firmness from the yellow mee and softness from the white bee hoon. 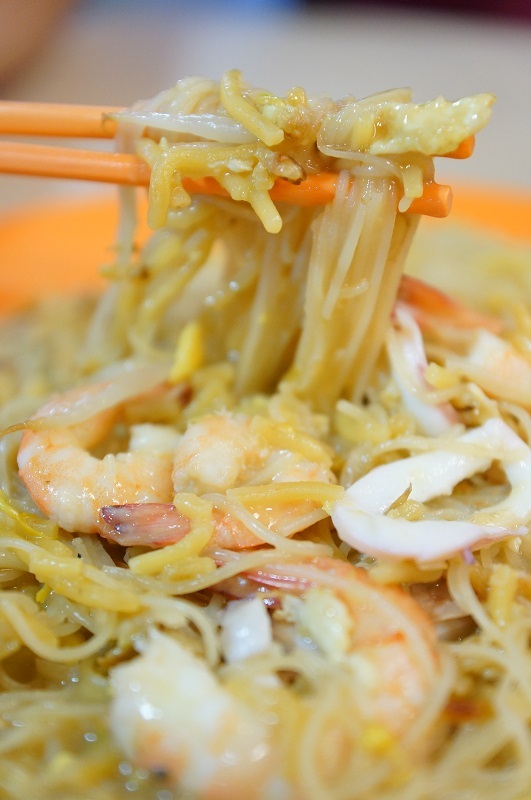 Taste wise was not the sweet type and that alleviate our fear, we think good Hokkien mee should not be tasted sugary sweet but has a good blend of seafood sweetness and saltiness from the stock. 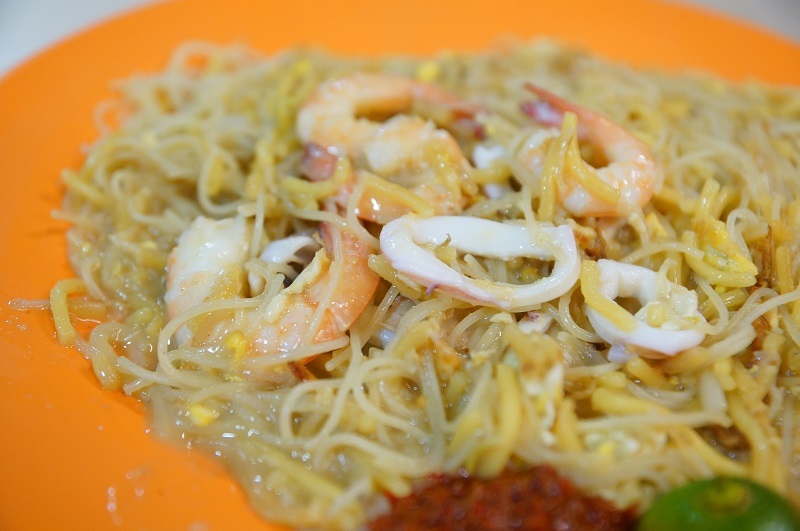 The mee was fragrance though the much needed charred aroma was missing and the seafood flavor could be more distinct. Lard was not detected in the noodles though pork belly slices were used in part of the ingredients. The prawns were slightly overcooked and a little hard to the bite, not too ideal and nothing to comment about the rest of the ingredients which were ordinary based on our taste buds. Chili was the traditional sambal version and reasonable good to go with the noodles. 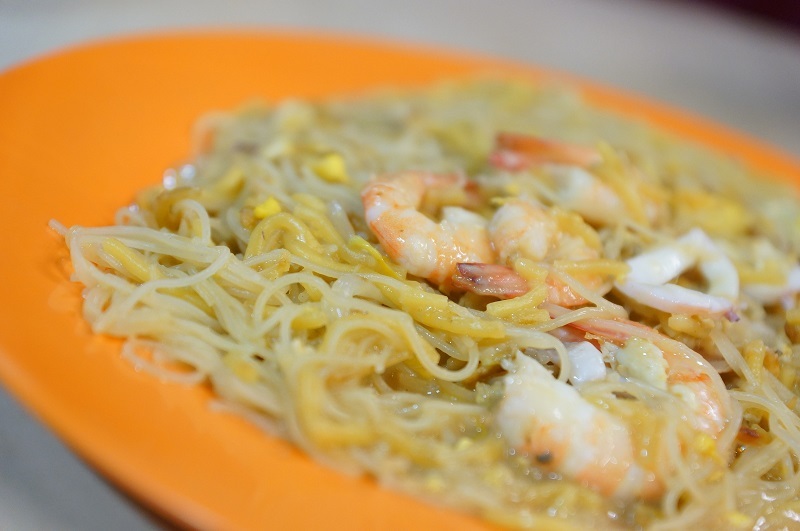 Our verdict, from the first mouthful to the last strain of noodles, there was not too much of the excitement eating the Hokkien mee here, we hope may be we were not too lucky for the night else it is a plate of slightly above average Hokkien mee we thought.